If you have coils, you know how delicate they can be. They can be more prone to breakage and require special care. Many naturals with this texture wonder if there are ways to soften their strands without taking on damage. Here are the top 5 ways to achieve softer coily hair for your best strands ever! Don’t skimp on moisturizer. Coily hair can shrink when it dries which can lead to a crunchy feeling. To get that softness back, make sure you use a leave-in conditioner every time you wash and condition. This will help make sure strands are moisturized and soft. A few good leave in products are Mixed Chicks Leave-in Conditioner, Ouidad Moisture Lock Leave-In Conditioner, and Alikay Naturals Lemongrass Leave In Conditioner. One of the most contested of the tips is to cut back on the oils. While oils are great for sealing moisture into hair, you can overdo it. When you apply too much oil to your strands, you are actually drying them out faster. A good rule of thumb to get softer coils is to examine your oil routine and cut it in half. For instance, if you use an oil 6 days a week, try going down to 3 days a week, and check in with your hair to see if that makes a positive difference. Spot check your hair throughout the day. 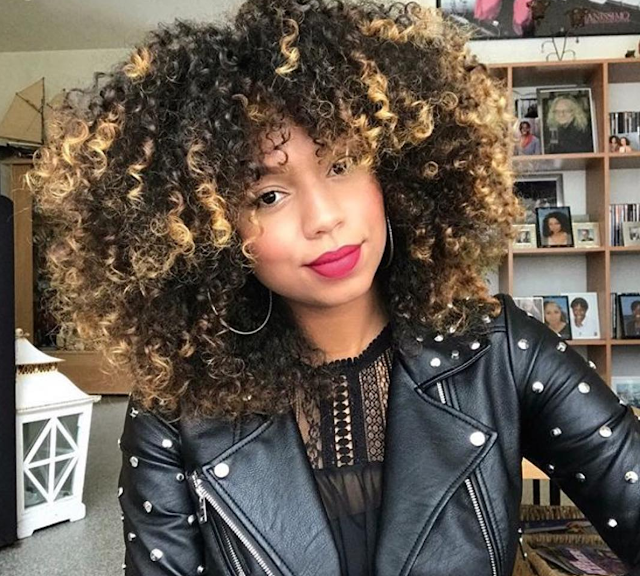 Coils can sometimes have a higher porosity than other curl types, especially if they have been chemically treated, so they absorb moisture faster. If you are moisturizing your coils every morning, check them throughout the day to make sure they aren’t becoming dry. You can refresh your hair with either water or your favorite leave in. The key is to spot check hair to avoid overloading it where it doesn’t need it. For example, don’t apply it to your roots to mid-shaft if you only feel hardness or dryness at the tips. Drink plenty of water. This tip might seem a little off, but we should all know that what we put in our bodies will inevitably show up on the outside in terms of our skin, nails, and hair. When you don’t drink enough water, your hair will become dry and coarse. If your strands seem a little less than soft lately, consider adding a few more glasses of water to your day. Avoid sulfates as much as possible. These little additives can make hair dry which will make it feel less soft. While sulfates are used to provide a deep clean, they can be harsh and stripping for natural hair. If you haven’t already checked your products for sulfates, you need to get on it. Some will say sulfates are fine as long as you only use them for clarifying purposes, but there are actually clarifying shampoos free of sulfates. Why use them if you don’t have to? A few good clarifying shampoos without sulfates include Twisted Sista Luxurious Clarifying Shampoo, SheaMoisture Sacha Inchi Oil Omega-3-6-9 Rescue + Repair Clarifying Shampoo, and Carol's Daughter Lisa's Hair Elixir Clarifying Sulfate-Free Shampoo.